MarbleTech coating comes with 5 layers of most durable,non-stick cooking surface available. 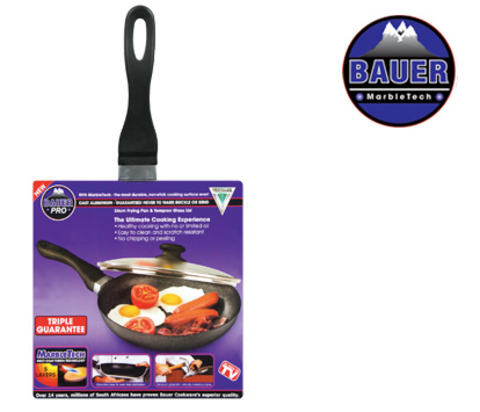 Unmatched in durability with no coatingchipping or peeling. 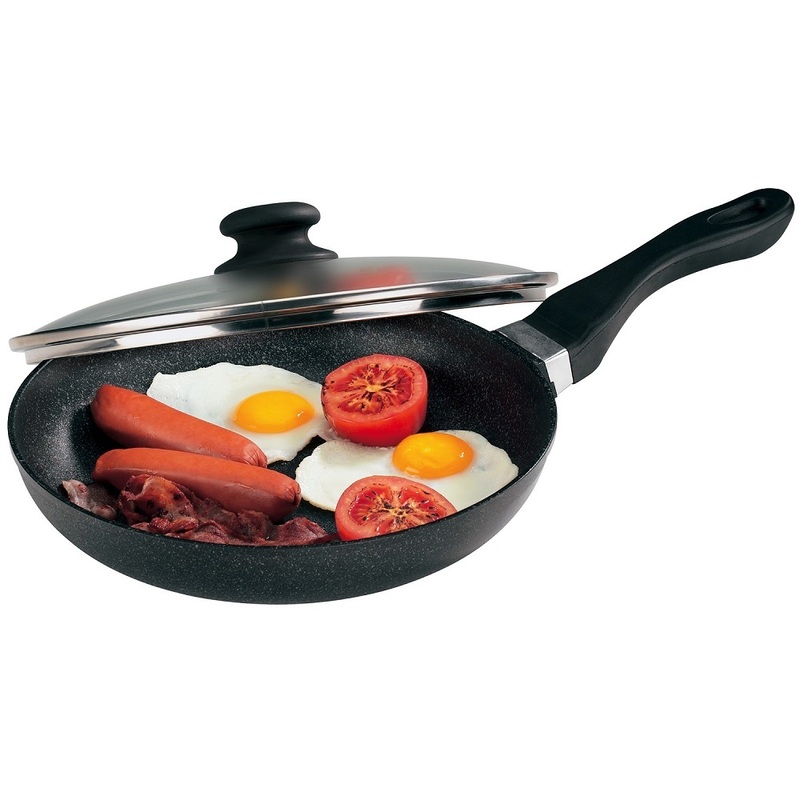 With its super durable coating that is super slippery yourfavourite meals won’t catch and you won’t be left with a mess to clean up! 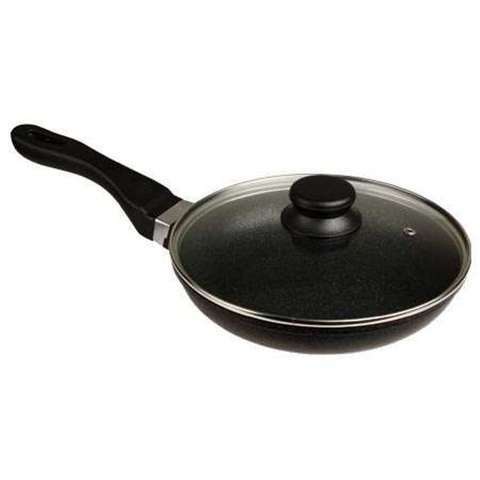 Its coating is scratch resistant and suitable for both wooden& plastic cookware. Cast in the highest-grade aluminum with an extra thick8mm base, guaranteed never to wrap, buckle or bend. Handle is made with durabledesign without any screws or fasteners that loosens & wears over time.Includes an ultra-hardened tempron glass lid that is virtually indestructible!